I went to the CineFamily Theater yesterday at 4 pm and I didn’t leave until about 2am! 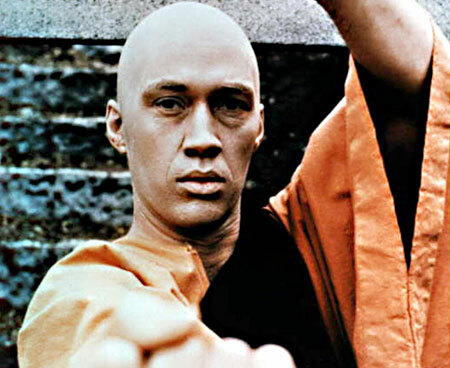 Quentin Tarantino hosted a marathon screening of David Carradine performance gems. First off we watched a 16mm print of the first episode of Kung Fu called King Of The Mountain, it featured John Saxon as a bounty hunter and Brandon Cruz as a boy orphaned by an Indian raid. It was terrific! I haven’t seen Kung Fu since it was on TV! QT regaled the audience with tales of Carradine between each showing that made the screenings really cool. The philosophy Caine spews during Kung Fu is pure Confucianism and it works excellently. Next up was an episode of a long gone TV show called Cimarron Strip starring and produced by Stuart Whitman. Carradine was a guest star on this show and turned in an excellent performance. QT stated it was hands down his favorite David Carradine guest star appearance. DC demonstrated his formidable quick draw technique in this episode, according to QT Carradine was one of the fastest quick draws in Hollywood history, 2nd only to Sammy Davis Jr.! Next up we had a bunch of trailers, great stuff! Then a scene from Larry Bishop’s chopper opera Hell Ride that featured Carradine. Some more trailers and then the jam packed car crash extravaganza Cannonball, a Paul Bartel helmed follow up to his Mega Hit for Roger Corman, Death Race 2000. An amusing anecdote from Mr. T, Ingmar Bergman wanted an American actor for his film The Serpent’s Egg. He called Richard Harris but he was booked up. Someone recommended Ingmar go see Death Race 2000, as it was playing in Berlin where Bergman was casting, so Ingemar went and the rest is history. After that the extremely bizzare Sonny Boy, Carradine plays this film in drag, it’s a completly wacked film, check out the trailer. A surprise visit from the star of the film Sonny Boy himself Michael Boston capped the experience, he had never seen the film projected! By the way the 35mm print had a horrible noise on some of the reels, people should check this stuff out before shipping defective films. 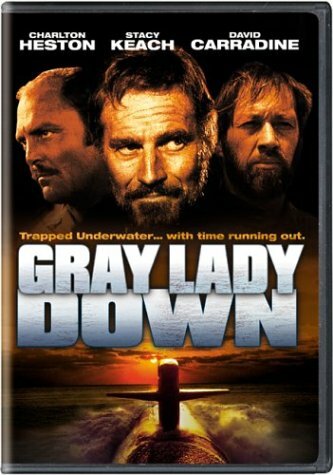 Finally we watched Gray Lady Down, a studio pic starring Chuck Heston as a sub captain and DC as the pilot of a mini sub that has to rescue the sunken crew. Yo it was crazy! All in all a touching tribute to an actor from a director who loved his work. Carradine was part of the Tarantino Film Family and he got a great send off. Tonight they’re going to show Circle Of Iron because it got too late to go on last night. See You There at 10:30!